Each is an essential part of generator maintenance. Knowing the difference is key. While weekly or monthly load tests are important in verifying whether or not your emergency power system will transfer properly during an outage, a Load Bank is critical to ensuring that the power supplied is sufficient for your building’s requirements and if the generator is in proper health to maintain it for a period of time. Load Bank – What is it? A Load Bank is nothing more than a big heater. It allows a technician to artificially apply load to a generator independent from the building’s electrical systems and without business disruption. Simulating an actual power outage under the watchful eye of the trained technician, heating elements of the Load Bank are manually switched on at specific time intervals incrementally applying load to the generator. Systems are monitored and mechanical reviews are performed at each interval. Any evidence of fluid leaks, belt wear, excessive exhaust smoke, and other anomalies are checked during operation. Recordings are made to reflect changes in engine temperature, oil pressure, volts, amperage, battery voltage, hours, and kW. Upon completion a report is generated that provides facility administration with a clear picture of the overall health of their emergency stand-by power system. 3 Reasons to Perform a Load Bank. 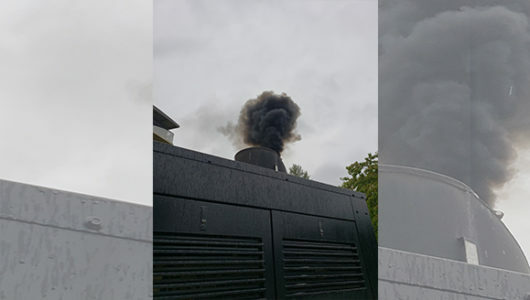 Visible thick black smoke during generator operation – This is a symptom of Wet Stacking, or excessive build-up of carbon and oil around the engine turbo and exhaust manifolds robbing engine power. The Load Bank Test will allow the engine to run hard and burn off this residue and build-up. Are you a Level 1 or 2 Facility? If so, and your generator doesn’t reach 30% of its rated kW during monthly tests, then a Load Bank might be required to ensure it is capable of reaching its rating during an actual emergency. To verify generator kW output – Are you considering additional electrical items to be supported by your existing generator? Understanding what your generator is capable of is a critical first step. My generator seems to be fine. Why then should a Load Bank be performed? 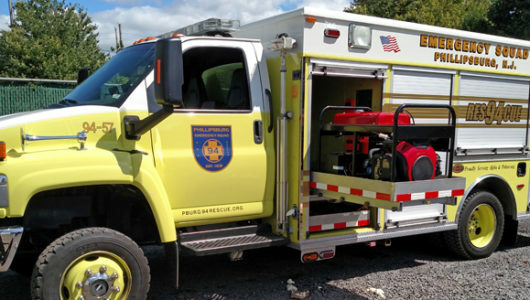 A very valid question, but it’s important to know that what might “seem” fine under test conditions may not necessarily “be” fine when operating under load in emergency situations. Understanding your generator’s capabilities prior to an event is just sound judgement. Will a Load Bank disrupt my business operation? Load Banks are performed without disruption to commercial service. To protect load bank equipment, tests are not performed in rain or during stormy weather, so it is unlikely that there would be a loss of ground power during a Load Bank. However, should an outage occur, the technician would simply reconnect cables and apply generator power. Can a Load Bank harm my generator? A Load Bank is doing nothing more than simulating the load that your generator would likely see during an actual emergency. Should something go wrong during the test, it would have surely gone wrong when you least expect. But that’s why we perform these tests, as it’s better to know of a problem before an event. And there is no better time to have a problem than with a qualified technician from P3 Generator Services on-site during such a test. For answers to all your generator questions, or to schedule a Load Bank at your facility contact P3 Generator Services today! What is wet stacking and what to do about it?